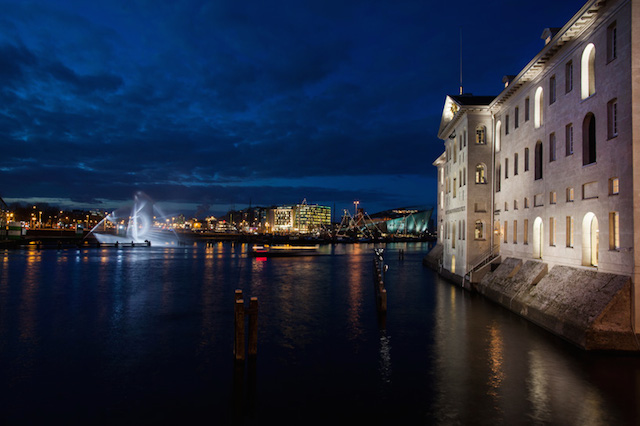 Beautiful ghost ship light installation #ArtTuesday « Adafruit Industries – Makers, hackers, artists, designers and engineers! 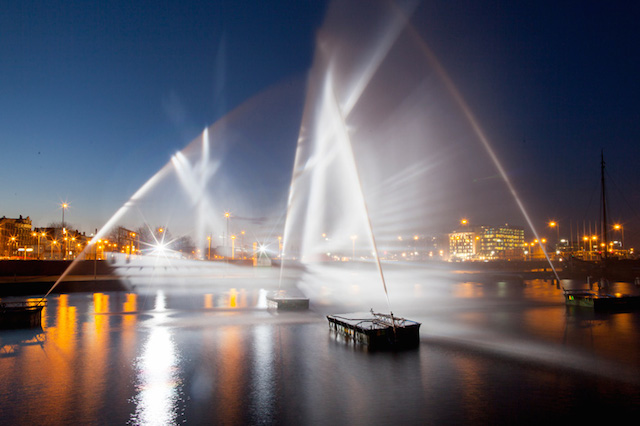 Romanian architecture collective visualSKIN has made a very beautiful installation for the Light Festival in Amsterdam. 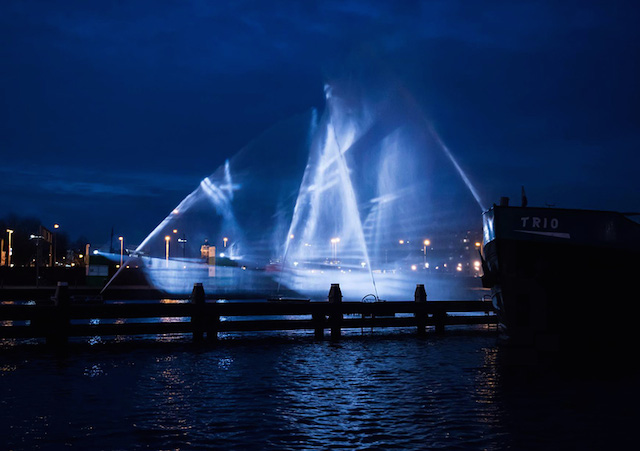 They designed a 3D projection of a 17th-century ship with water and light projections that can be admired through different angles. In reference of Dutch ship “The Amsterdam” who has drowned during a trip to Batavia in 1749, the “Ghost Ship” is to discover in images.